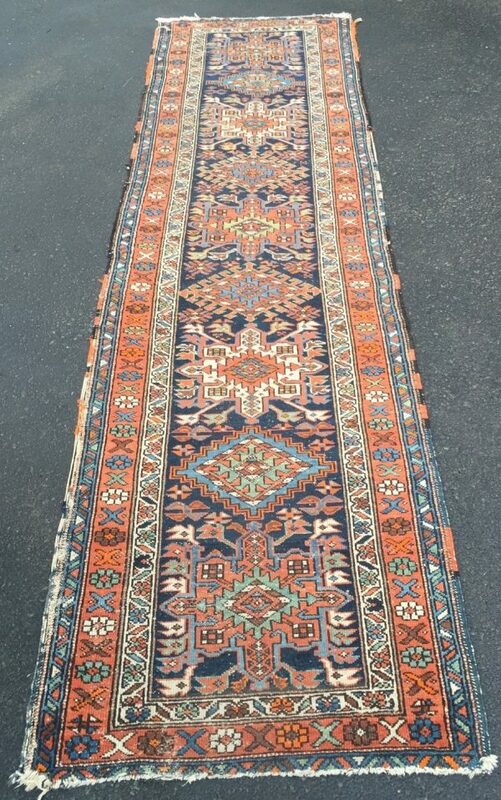 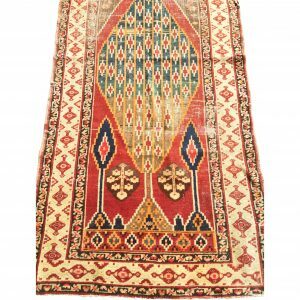 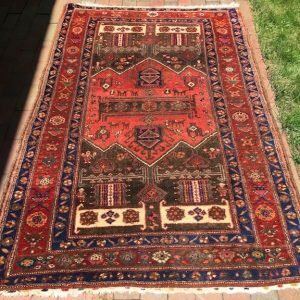 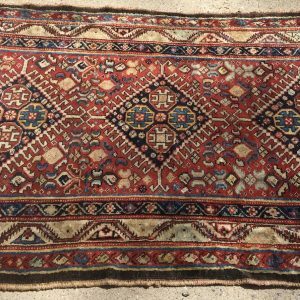 3’1X11’1 Karaja runner from 1920’s Persia. 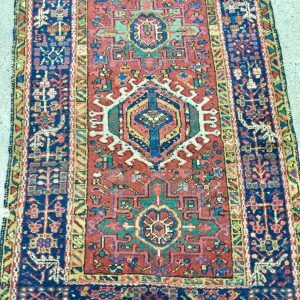 Good colors, shows wear. Ends and sides need attention.